Every two years UEFA is handed a near-impossible task: conduct an open draw of 53 European countries, trying to keep apart nations with political tensions. Historically, Europe loves war. The last six decades have been the most peaceful in the history of the continent, and even they saw a handful of low-level wars, several revolutions, a few dictatorships, and one major regional war that involved ethnic cleansing. It is somewhat surprising, therefore, that when deciding which countries definitely should not meet each other in Euro 2016, UEFA selected Spain and Gibraltar, and Armenia and Azerbaijan. 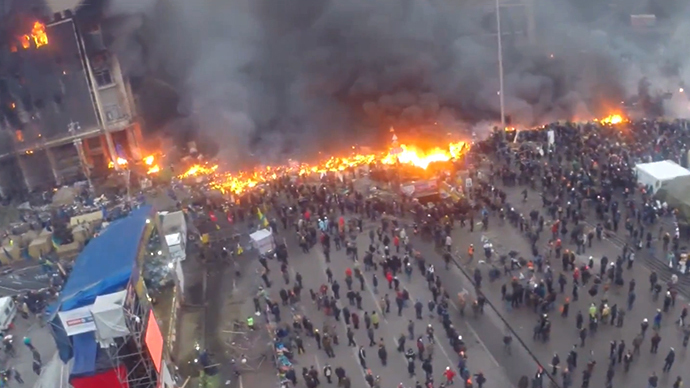 Kiev’s Independence Square: not an ideal spot for a quiet pre-match pint for Russian fans. Not to detract from the issues surrounding these countries but it does raise an eyebrow that Spanish supporters traveling to Portugal to take on Gibraltar (for they do not have a stadium capable of hosting UEFA matches themselves) is deemed more politically sensitive than the prospect of Russians enjoying a pre-match beer on Kiev’s Independence Square next September. Serbia, Croatia and Bosnia have all played each other over recent years, while Germany and Poland have been drawn together in Group D.
Serbia v Croatia: not deemed as politically sensitive as Spain v Gibraltar. Even at the less violent end of the scale, England and Scotland could potentially have faced each other on the eve of a referendum to decide whether they should finally get a divorce. In fact, what is really remarkable is that today’s draw produced so few politically sensitive encounters. Seedings kept some historical rivals apart (Germany and England, for example) but much of it was just luck of the draw. 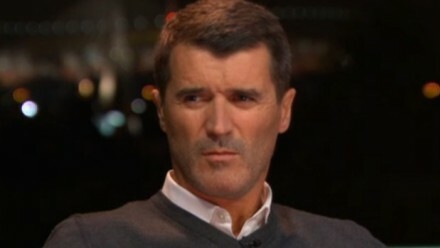 Roy Keane watches Georgia’s 2009 Eurovision Song Contest entry in disbelief.